....You never know what you are going to build next. 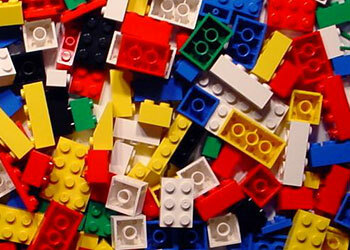 As a kid, I always loved playing with Legos. They were one of my favorite toys. Sure, there were step by step instructions, but I didn't like following those. I liked building what I wanted to build. I liked using my imagination and creating something new and original. Something that had never been built before that came straight out of me. I love creating and building. Its what gets me up in the morning and gets me excited. My favorite thing to do is create. Around the house building shelves. Improving my yard with a new garden. Making music with my guitars. Building decorations for Halloween (I tend to go over the top building my own Halloween decorations). At work trying to find a way to do something better or make the company more money. Or just simply trying to improve something. Creating is in my blood. Its in my DNA. Its how I am wired. I can't look at something, even if its already good, without thinking of some way to improve it and add to its creation. Sure, Legos come with instructions. But before there were instructions, someone had to blaze a path without them and create them. They sat there with a box of Legos with the possibility of building anything they could imagine.